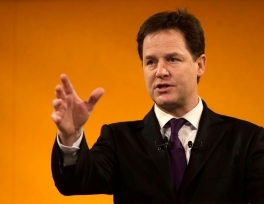 British deputy prime minister and head of the Liberal Democrats Party Nick Clegg has released a statement to the Muslim Council of Britain about the cohesion of British and Islamic values following a scandal which accused Muslims of trying to take over the governorship of a school in Birmingham. "I am writing following the recent developments in schools in Birmingham and widespread commentary about the role of Muslims in public life," he began his message, according to the Liberal Democrats' official website. "I would like to place clearly on the record that there is absolutely no doubt that the overwhelming majority of Muslims in the UK are patriotic citizens who hold values that entirely accord with the traditions and values of our nation, not least through the rejection of all forms of intolerant extremism. Indeed for generations many British Muslims have helped protect, defend and enhance these values through their voluntary, civic and military service to our country," he said. Brushing off reports of changes in 'British values' laws would prevent Muslims from becoming school governors, Clegg said: "Muslims up and down the country contribute a huge amount to their local communities, as local councillors, school Governors, charity trustees and in countless other roles. That is something that I hugely welcome and which I firmly hope and believe that recent events and commentary should not be allowed to undermine or weaken. We have seen a high profile response to the recent events, but we shouldn’t pretend that interventions from central Government alone will solve the problem – it is my firm belief that community cohesion is best driven by communities themselves working with local people and organisations." "It would be fundamentally wrong for British citizens who hold the Islamic faith to be held to a different, or indeed, higher standard from other citizens. Being Muslim does not contradict being British, nor is it in tension with it. 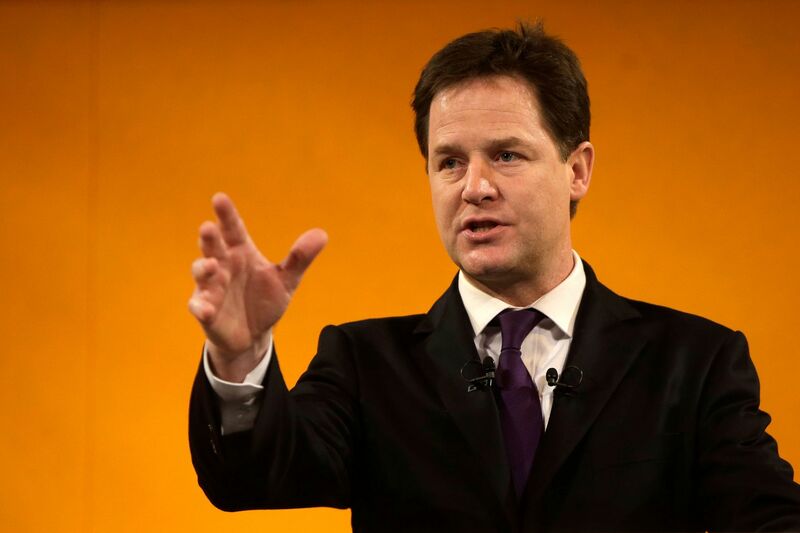 A person can uphold their religious and cultural identity as well as British identity," Clegg added. "Muslim friends and colleagues of mine have raised concerns about how some elements of recent reporting may risk leading to an increase in Islamophobia. If this is the case clearly it is deeply regrettable. As you will know the Government takes Islamohphobia extremely seriously and is committed to working with the Muslim communities of the UK to do all we can to tackle it," he reassured. Muslims becoming trustees or governors of British schools is threatened because of the possible new rules for academies and free schools that compel them to promote British values are "dangerous". UK Education Secretary Michael Gove has drawn up funding agreements that will allow him to shut down schools or kick out governors if he believes a member of the academy trust is "unsuitable" because of "relevant conduct". Unacceptable actions are defined as anything "aimed at undermining the fundamental British values of democracy, the rule of law, individual liberty and mutual respect and tolerance of those with different faiths and beliefs". The Muslim Council of Britain (MCB) has raised fears that the reforms, which will apply to new academies and free schools, could prevent people with conservative Muslim beliefs viewed as incompatible with "British values" being involved.